My name is Asif and I am from London. I am IT Graduate and Post Graduate in IT as well. I have 5 years eBay, Amazon and online selling platforms work experience. 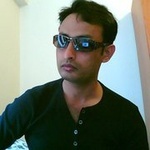 I also have...Read moreMy name is Asif and I am from London. I am IT Graduate and Post Graduate in IT as well. I have 5 years eBay, Amazon and online selling platforms work experience. I also have a good knowledge of Search Engine Optimization and Google Adwords. Besides this, I am very good at image editing for eBay, Amazon and websites. I have the ability to handle big eBay and Amazon projects and deliver the work on time. I am available Remotely as well as for on-site work if reasonable distance from London.